Throughout its existence, Dearborn has been a pioneer settlement, a multicultural hub, a college town, a major tourism center and a world-renowned industrial city. Unfortunately, due to a variety of factors, significant structures have been lost to time. Almost all of the eleven U.S. Arsenal complex buildings have disappeared since the arsenal was closed in 1875. The hallways of the Edison School and Oxford School still live on in the hearts of their students but were razed long ago. Even beloved edifices such as the Ford Rotunda and the Ford Motor Company Administration building, built by Dearborn’s favorite son, Henry Ford, are now only a memory. Author Craig E. Hutchison endeavors to immortalize the important foundational building blocks of an evolving city. This commemorative mug is a great resource for filling up with your favorite cold or hot beverage and it feels so good in your hand. When not in use, it just looks great hanging on a hook or sitting around as a commemorative keepsake. 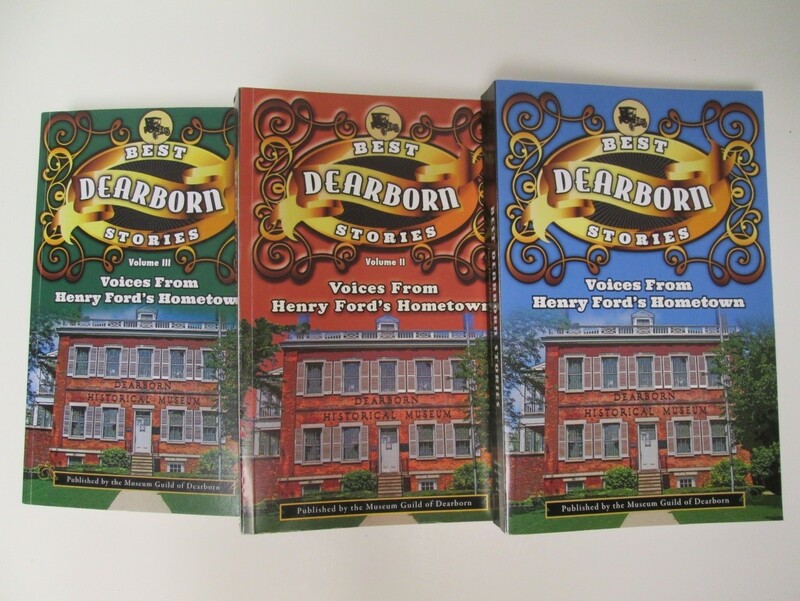 All proceeds go to the educational programming of the Dearborn Historical Museum. 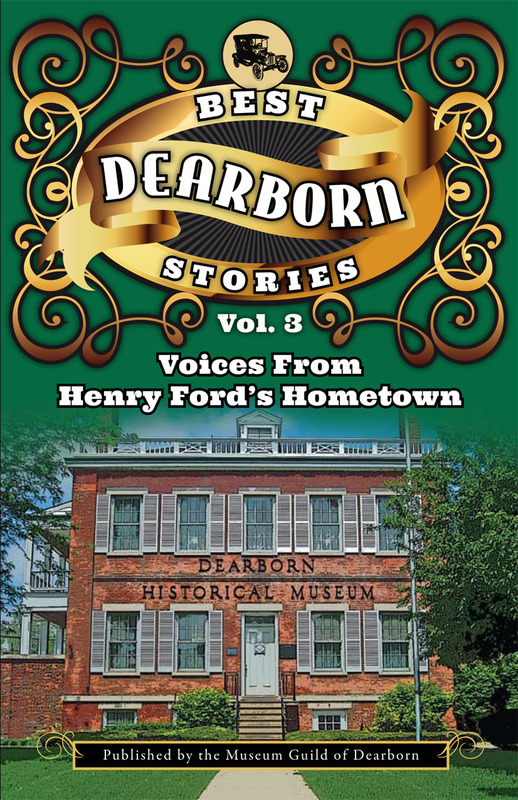 Voices From Henry Ford’s Hometown. This book contains stories authored by you, the citizen with a story to tell. What a great book for remembering and reminiscing about life in Dearborn. This book is published by the Museum Guild of Dearborn, a 501(c) (3) non-profit organization, which makes your purchase tax deductible. 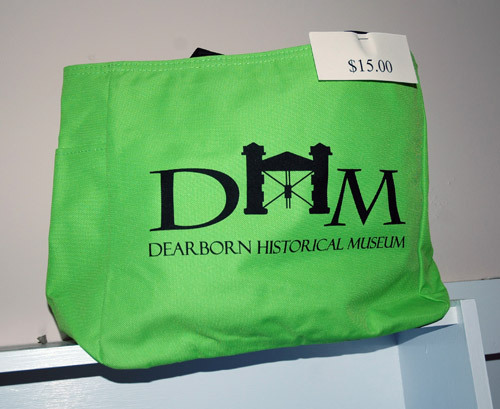 A tremendous holiday gift and a great way to support the Dearborn Historical Museum. This book contains over a 150 stories authored by you, the citizen with a story to tell. What a great book for remembering and reminiscing about life in Dearborn. This book is published by the Museum Guild of Dearborn, a 501(c) (3) non-profit organization, which makes your purchase tax deductible. 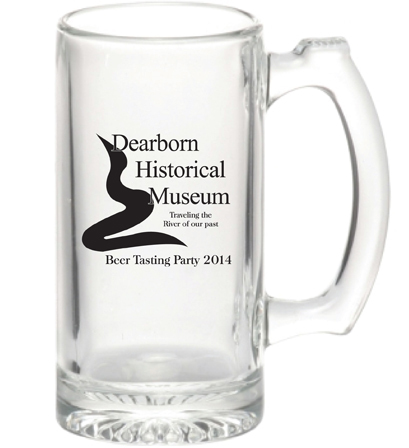 What a great way to help support the Dearborn Historical Museum. Located on the banks of the Rouge River just ten miles from Detroit, the city of Dearborn began as a humble pioneer settlement in the 1780s. Over the course of two centuries, it has developed into a close-knit community, a college town, a major tourism center, and a world-famous industrial city. 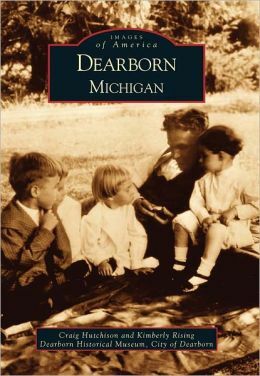 Through an impressive collection of photographs drawn from the Dearborn Historical Museum, Images of America: Dearborn, Michigan documents the influential people, places, and events that have shaped Dearborn’s rich history. 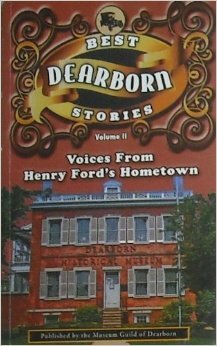 This book traces Dearborn’s spirit of innovation through engaging glimpses of the 19th century U.S. Arsenal, the historic River Rouge Plant, Mayor Hubbard’s lasting influence, and the legacy of Henry Ford. From the European settlers who first settled on the banks of the Rouge, to the streets, buildings, and schools that were named for them, Dearborn is revealed as a vibrant urban community with a strong sense of civic pride. A graphic and thrilling description of real pioneer life in the wilderness of Michigan. 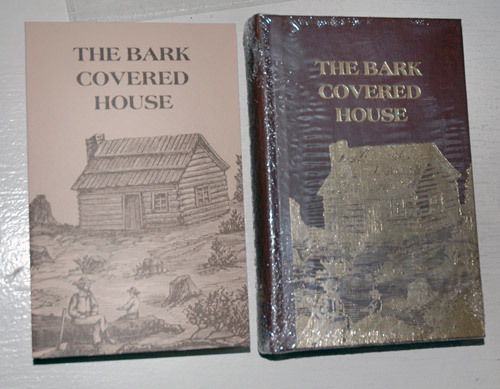 Written by William Nowlin, one of the pioneers who came to the area with his family from the Hudson Valley in 1834. The struggles and hardships of life in the woods, noted by isolation and the need to be self-sufficient, are colorfully portrayed.